Rural wooded lot just south of Iola. Is this the location for your building site? Sloping hill may be suitable for a walk-out ranch. Beautiful views! Acreage per Plat of Survey Map. Total acreage including road right of way is 5.76 acres. This is part of parcel 18-06-43 which has been parceled off as Parcel 1; taxes to be determined. From Iola: Hwy J South to Olson Rd. Left on Olson Rd to Right on Wesley Rd to property on left. Watch for sign. 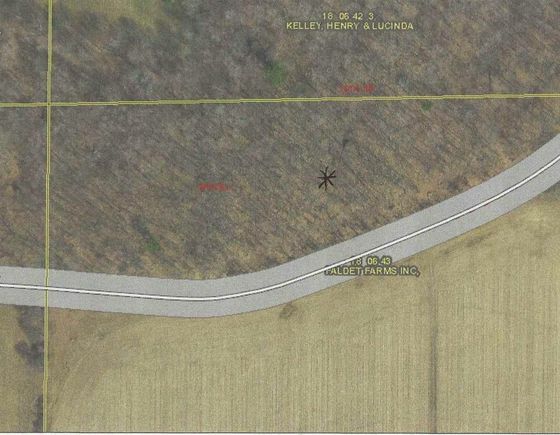 The details on WESLEY ROAD: This land located in St. Lawrence, WI 54945 is currently for sale for $35,000. WESLEY ROAD is a – square foot land with – beds and – baths that has been on Estately for 368 days. This land is in the attendance area of Iola Scandinavia Elementary School and Iola Scandinavia High School.